This weeks 30 Second Interview with actor and author, Stephen Collins swept me back to the 1980’s and a programme I absolutely loved; Tales of the Gold Monkey. (See interview here). Well, it got me thinking of all the other ‘stuff’ I loved about the eighties. And, apart from the wild hair style I laquered to death, the eighties was one of the best decades of my life. Okay, so I wore white stilletoe heels to the disco, and danced around my handbag….but, who didn’t? I even had a pair of luminous gloves like George Michael wore in the ‘Wake Me Up Before You Go Go’ video. I also remember one of the national newspapers selling a ‘YOG’ ring. It was a nickname of George’s when he was a child. He apparently wore an identical ring….and therefore, so did I – all for £4.99. The metal blackend within two weeks. Remember how you had to ‘load’ the games via cassette tape. You’d listen to two minutes of high pitch squealing, then an error would occur. After fiddling with the volume, you’d start again; just to play games like ‘Jet Set Willy’, ‘Pajamarama’, and ‘Booty’. Happy times. I had the lace gloves, the studded belt, cut off leggins, net hair band, bangles, crosses hanging around my neck. 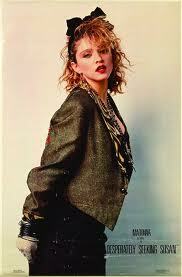 I was Madonna…..until my mum refused to let me out of the house until I changed my clothes. Please tell me I wasn’t the only one. By the end of the film, I was in love with Michael J. Fox. Still am a bit. I loved television programmes in the eighties. They were all cop and mystery shows. CHiPS, Hunter, Hart to Hart, and of course, Tales of the Gold Monkey. 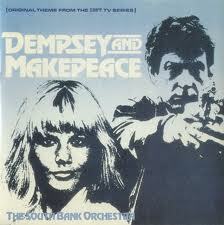 My favorite though was Dempsey and Makepeace; more so because of Michael Brandon. I even joined their fan club. The show was shot in and around London. I found out where one of the episodes had been filmed and…….oh dear, I do like to embarass myself. I wasted hours and days of my life trying to figure this square out. In the end I just moved the stickers about. So, that’s pretty much how I spent the 1980’s. How did you spend yours? And I want to hear all the embarassing details. I liked Chips and loved Hunter. Have a wonderful Christmas, Donna. David. I loved Fred Dryer. I even have a an autographed football helmet, lol. 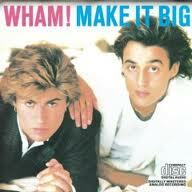 Owned the Wham! album (loved it, not so much now though), trade out Spectrum for Atari 2600 there was pong, pong with tanks, pong being eaten by a circle and shooting pong at blobs (a.k.a. Asteroids). Love pong. Spent hours working on the Rubics cube too, until a friend just unpeeled all of the colored stickers, pasted them back on and said “solved”. Although I do remember the “sphere” and “snake” versions of the Rubix which were tons of fun and a bit more difficult to solve. Gene, what was your favorite WHAM! song? I’ve never heard of the pong game. We did have Space Invaders, but I think everyone knows what that is. And re: Madonna – yeah, Mum was right, lol. Who did you ‘copy’ back in the eighties? i was on the CB radio in the early 80s, loved that time!. 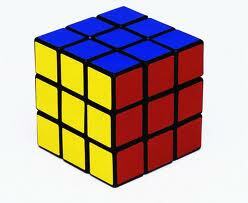 someone taught me how to solve the rubic cube, so i spent most of the time showing other people how to solve it. mid 80s was a drunken haze and late 80s was the start of my world travelling. life back then seemed far less complicated. Buck, my friend was an avid CB’er. That’s actually how we became friends with Erkan Mustaffa (Erkan from Grange Hill), she dated his cousin. Happy times. On Friday, you can show me the trick to solving the Rubix Cube. Do you still own one? Boy, was I relieved to read your article – when I read “throwback to the 80s” I thought you were talking about me. And before you mention it, yes, you can throw me back further than that! “Okay, so I wore white stilletoe heels to the disco, and danced around my handbag….but, who didn’t?” ………… I don’t have to answer that one, do I? Ok, ok, I admit it, I was the one treading on other people’s handbags. Joe Jackson, Star Wars, Indiana Jones, and the friends I made at Leeds University are the biggest things I remember, everything else seems to be a blur. The words “youth is wasted on the young” come to mind. There were lots of embarrassing moments for me in the 80s. Well, actually you could add pretty much any decade to that, just that digital cameras and the internet didn’t exist then. Phew! What I want to know is – did you have the eighties ‘mullett’ hair do? 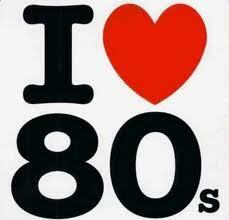 The 80’s were my favorite decade. For all the reasons you list and many, many more! It was so much F.U.N. in the 80’s. We were young and free and the whole world was ours to explore. Ah, I love going back in time, thanks for the trip. You’re welcome, Tameri. So, come on. Who was your idol? The one and only Billy Idol. Oh, man I loved him. I wanted to have his babies and live the rock and roll life with him. And then he got old.